The following is my article published today February 4, 2019 by Mexico News Daily. Mexico News Daily is an English Language publication. 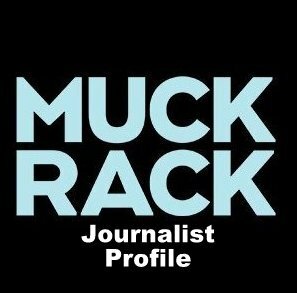 It is a subscription news service. 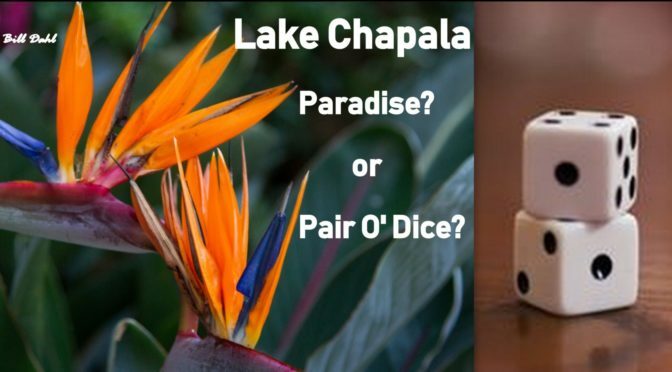 The theme of the article is the emergence of the realities in the Lake Chapala area in the State of Jalisco – an area popular with foreign residents (expats), snowbirds, and tourists from the U.S. and Canada. OR – the article is posted below. DO NOT copy, paste or reproduce this article in any form without prior written permission. Of course, you can share the article via the links on this site below the article, or those provided on the Mexico News Daily site. Lake Chapala communities are struggling with a landslide of negative publicity lately. On social media platforms, current residents as well as prospective tourists, snowbirds and potential expat residents are beginning to wonder whether their perceived paradise has become a pair o’ dice. Let me explain. The murder of a Canadian expat in Ajijic occurred Friday February 1, 2019 around noon. The week before, four people were shot in Chapala. Two were killed and two are hospitalized. Two armed carjackers were arrested in Chapala in the past week. Home burglaries are on the rise. Car burglaries are frequent. The crime statistics for the state of Jalisco reported to the national Mexican authorities were found to be falsified from 2015-2018…reporting only 70% of the actual crimes reported to authorities (discovered via a recent audit of the same). Three men and one woman were arrested for robbery last week – then let go – as the victims refused to press charges for fear of retaliation. Vehicle license plates are being stolen in droves – then used by the thieves who accumulate tickets and don’t pay – coming back on the owner of the plates. On January 29, 2019 the municipality of Chapala was court ordered by a Mexican court to pay 90 million pesos (US $4.7 million) for default on payments due on a completed public lighting contract. Chapala has two days to respond to the order or the City Council can be detained for 36 hours. They have no money to pay the sum. The new Mayor of Chapala changed the City charter in October 2018 whereby municipal officials and delegates are no longer elected, but appointed by the Mayor. He has yet to make those appointments. Then there is the recent article and video entitled “Robberies on the Rise in Lake Chapala” produced by CGTN News (a collection of international news outlets), that has gone viral on the internet. It involves interviews with an elderly Ajijic couple who had their home invaded. Add all this to the recent gas theft fiasco in Mexico, shutting down, and then re-opening Mexico’s gas pipelines, and the horrific, fiery tragedy that led to the loss of over 80 lives – all of this has captured prominent positioning with comprehensive, international news media coverage. Then – there’s this: Jalisco authorities reportedly cremated 1,581 bodies from 2006 – 2018 – then threatened families (some by gunpoint) to accept ashes of missing loved one’s – even though they had no evidence that the ashes were actually from their deceased family members. President AMLO claimed the “drug war is over – we are no longer targeting cartel leaders.” Fitch Ratings Service (NY,NY) cut Pemex’s (Mexico’s national oil company) bond rating to BBB- (minus) – a shade above junk status. They also reduced Mexico’s national/sovereign bond debt rating to AA. Fitch has stated “Pemex has been bankrupt since 2009.” Other bond debt holders declared: “Investors have AMLO’s policy process under a microscope. If the expected capital injection is not forthcoming then the market will build a higher political risk premium into the Mexico sovereign spread.” Thus, the outlook is for Mexico’s fundamentally essential financial ratings to continue to deteriorate. I won’t go into the other headlines on crime and violence in Mexico that have populated the international air waves over the past two weeks. AMLO recently disbanded the Mexico’s National Tourism Agency. Those operations are now supposed to be handled by Mexico’s embassies. The agency left U.S. $3.7 million in debt. Hello Mexico? There is a serious public relations malady (reality) that is threatening the country! Granted, Americans are saddled with a President who suffers from Border Wall Personality Disorder. Most informed U.S. citizens are afflicted with POTUS Trumpatic Stress Disorder (a new form of PTSD); traumatized by daily denigrating tweets and lies from their President coupled with bolts of shame ricocheting through their beings. We all have our burdens to bear. Life is filled with risk. So are nations. Prospective tourists are hyper-sensitive to perceptions of risk. The recent wave of negative news out of Mexico, particularly Jalisco, informs those tourist perceptions and their travel plans. It distinctly affects those who currently reside in Mexico. The current inertia of the odds in Mexico is being observed internationally by those standing around the table watching the action. As in the casino of life, when the odds look too long, people walk away from the table. Watch your chips ladies and gentlemen.